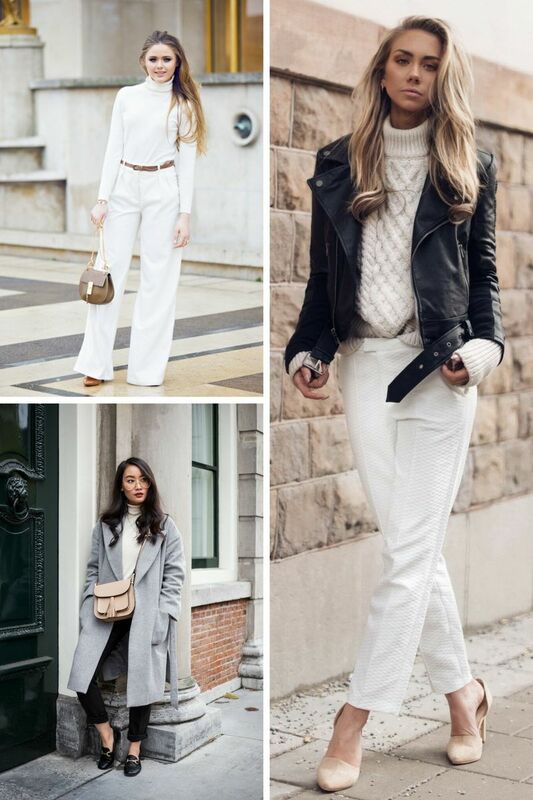 White is a neutral color, that’s why it can be styled with pretty much everything. It can be a part of an everyday casual look, either formal office combo, or a very special night out party. 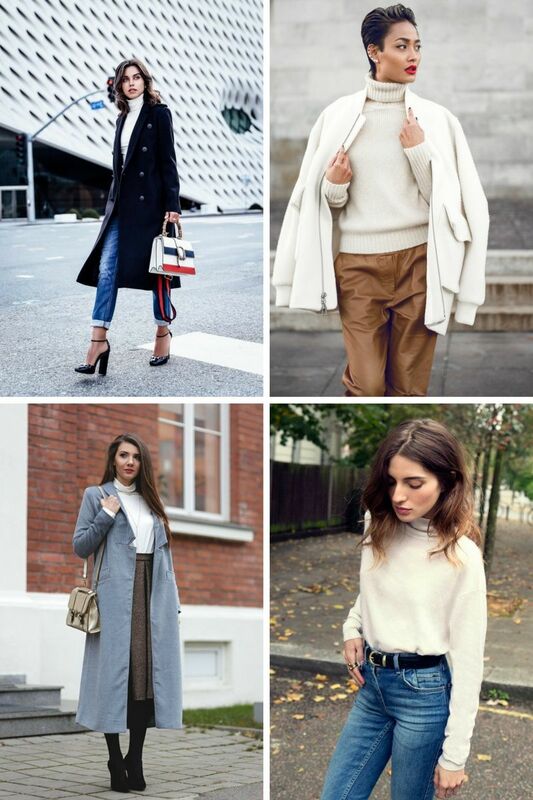 White turtlenecks look incredibly chic with skinny jeans, wide-leg pants, skirts, shorts, either with leggings and OTK boots. 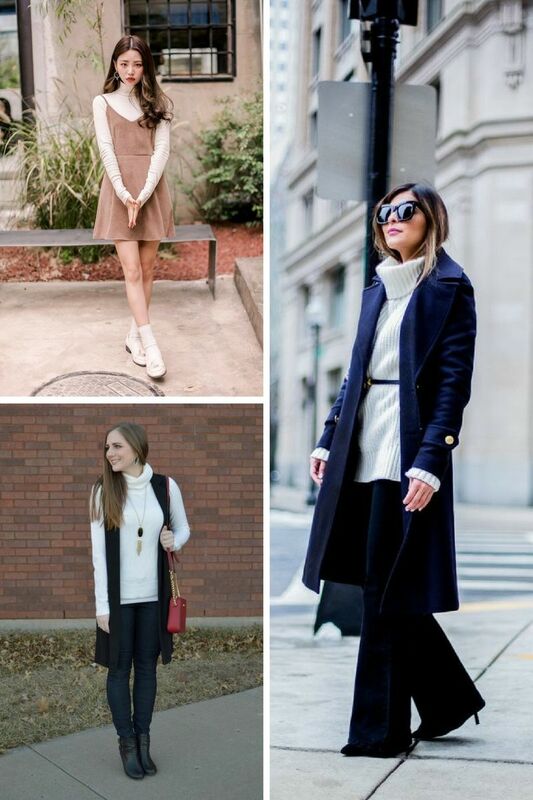 I love to see ladies who manage create fabulous layered looks by pairing white turtlenecks with some vests over it. 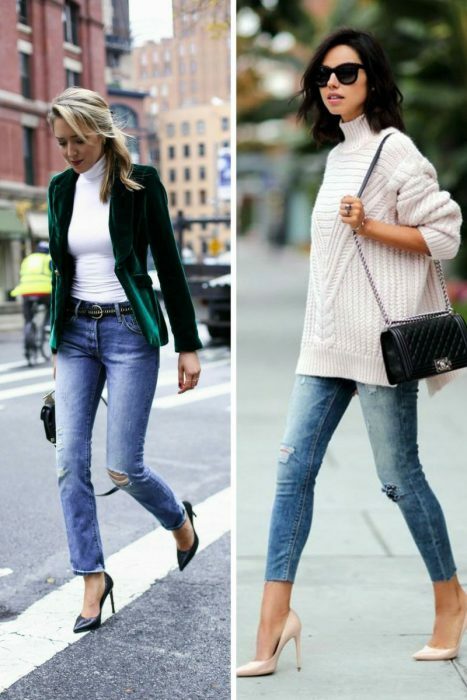 If you are not into layers, then you definitely can wear this top on its own with some statement necklace to make things look more interesting. White turtlenecks can be layered with camel coats, classic dark neutral outerwear pieces, leather jackets, or bombers. 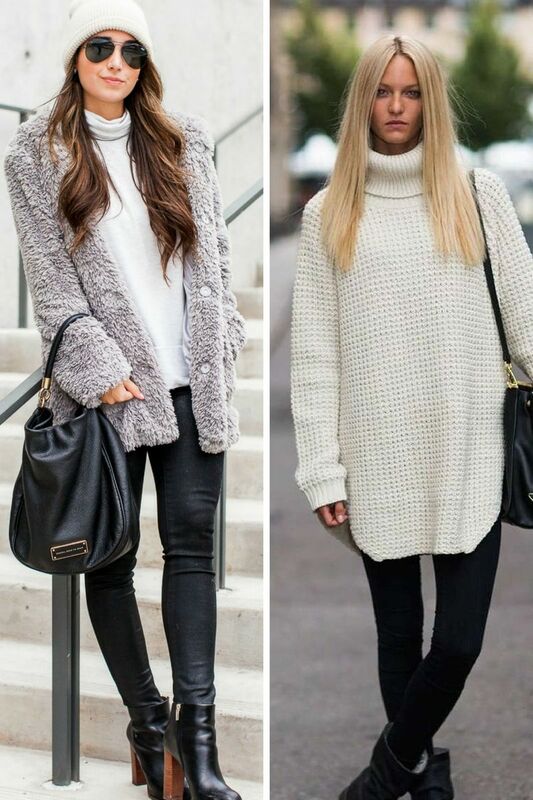 In other words saying, white goes well with any other color. 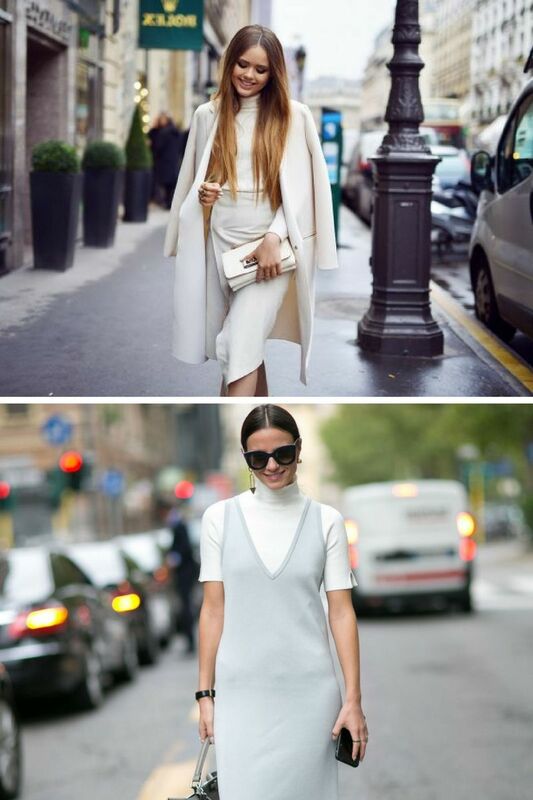 You are free to pull off this white winter trend with any style. 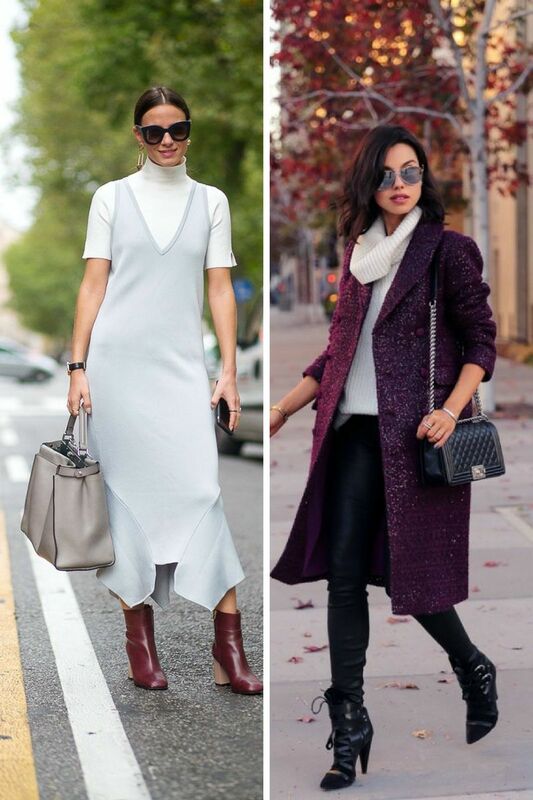 Just be sure to play with different textures by combining it with furs, leather, and suede. 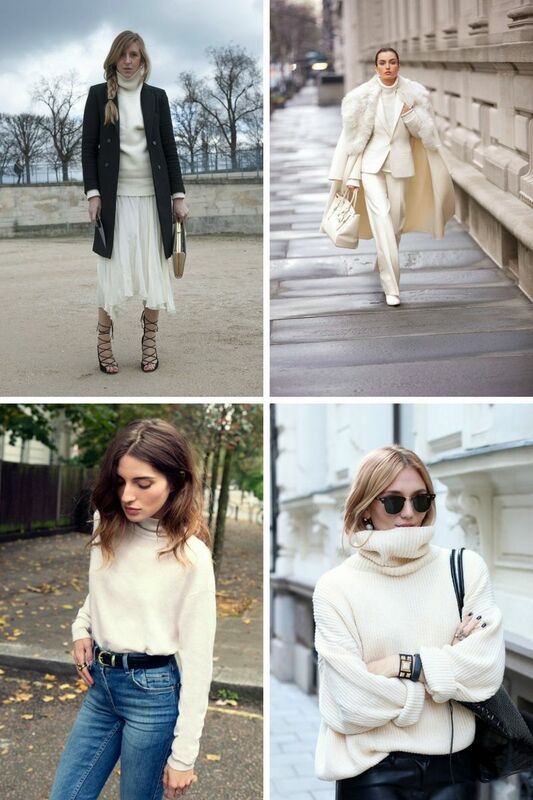 White turtleneck can be made from cotton or wool. The one made of thick fabric will keep you warm and make you look stylish.